Auto Body Shop for Sale! Are you tired of working for someone else in the automotive industry? Or do you already own a business in the automotive industry and want to expand? This amazing opportunity has the ability to be yours at an amazing price! Inquire today for more information about an established, reputable company in the Sioux Falls area. Seller is willing to train the buyer, whether they have 5 minutes or 5 decades of experience. They are willing to stay on for up to 5 years (with pay) or leave as soon as the new owner feels comfortable. This shop comes fully loaded with all the tools, equipment, and inventory needed to function. There is a fully finished office, fully ventilated paint booth, large cold storage for inventory, two lift bays, and much more. 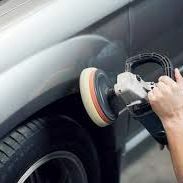 There are many great body shops in the Sioux Falls area. This particular business has been built on customer service and trust. They have many referral sources and relationships that have built this company to what it is today. The primary opportunity is that of hiring on more workers for the shop. The current numbers are produced by the name, and hands of the owner, in order to grow any more than the business has there would need to be more hands to increase the amount of work that is done.